We are occasionally sends sensitive information from Gmail like credit card info, passwords, login ID and more. 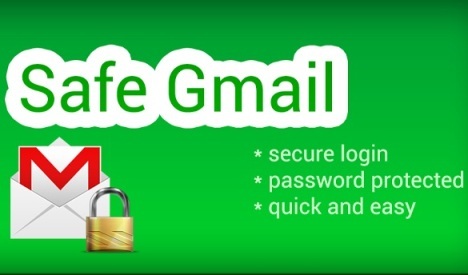 Now you can secure all these type of messages with SafeGMail Chrome addon. It is a free addon for Chrome user which allows you to send encrypted Gmail messages. With this way you can protect your messages with a password and receiver of the email has to enter the password to read these type of encrypted Gmail messages. It’s quite easy to use the addon and one of the great to send urgent and important messages safely to the intended receiver. 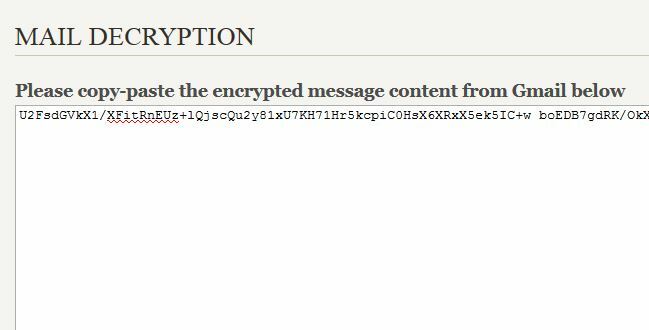 All these messages are encrypted and decrypted within the browser and remain encrypted in both the sender’s and receiver’s email inboxes. The messages also automatically expire after some time so no one can see these messages on your mailbox. Step 1. 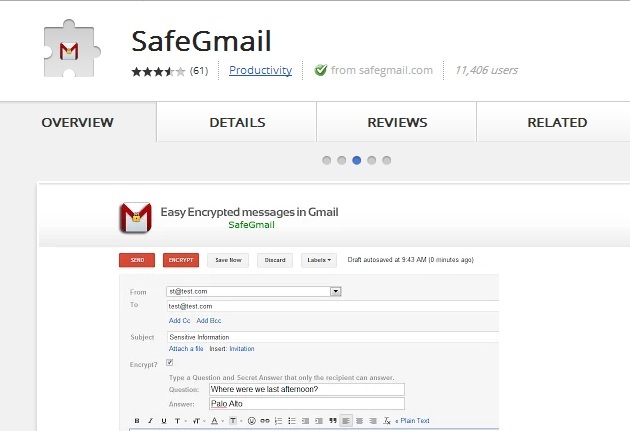 GO to the Chrome Web store on your Google chrome browser and install the Safegmail addon. Step 2. After the installation of the addon you can see the new Encrypt option on your Compose message window. NOTE – If you are using the new Compose window on your Gmail than you have to select ‘Switch back to old compose’ from the option menu. Step 3. Check the Encrypt box and now a question and answer form will appear. type the Question and answer. After that click on ‘Send+Encrypt’ to send your email. Step 4. So when the receiver get the mail he can see the encrypted mail on his inbox. The encrypted email looks like the following image for the recipient(s). 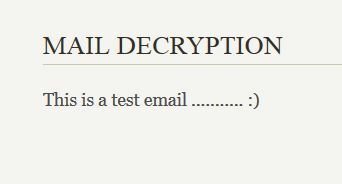 The encrypted email is included as text between dashed lines. Step 5. To decrypt that string of characters click on the Here link as instructed in the email. Now the receiver will see the Question that you put on the encrypt mail on Step 3. The receiver must then enter the answer to the question to access the mail decryption page. Step 6. 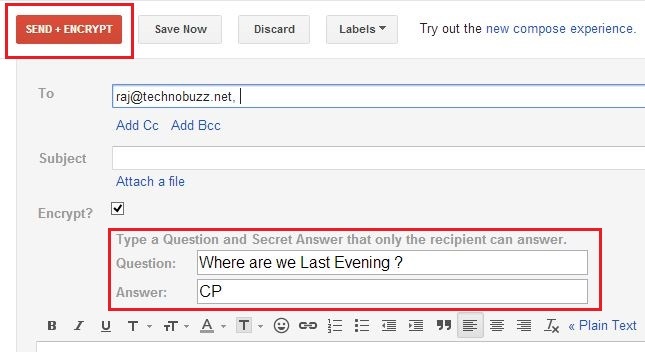 Now paste the email content copied from the received email in the edit box and click Show My Mail. Step 7. After that click on the Show my Mail Button. The decrypted message displays in the browser window. 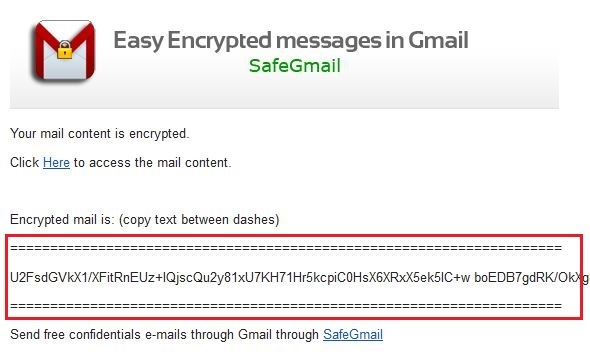 That’s it, with this way you can send Encrypted Gmail Messages easily. You have to must try this addon to add more security on your Gmail messages.